5. We are Long Island’s team. Of the 32 players on the Seawolves, 30 hail from Long Island. Coach Spallina’s recruiting of student-athletes from Long Island has paid dividends on the field, as some of the best players from the island have stayed home and been a part of building a national power in a location that is passionate about the game of lacrosse. In a rematch of last year’s 12-11 Stony Brook victory in Gainesville, the Gators are set to fly north on Saturday to take on the No. 8 Seawolves who recently opened their season with an 18-4 win over Bryant. Last spring, this was – in my opinion – the game that put the rest of the nation on watch as it pertains to Stony Brook. The win came a week after they upended Notre Dame, 9-5, at home, and a month after they opened their season with a 7-4 win over USC. Freshman Kylie Ohlmiller tallied six points on a game-high five goals and an assist, while Shannon Gilroy poured in two goals and dished out four assists. Fast-forward a year, and Florida’s already proven they’re a national contender with wins over UNC and Syracuse; but where’s Stony Brook fit into all of this? The game against Bryant was their first of the season, so this is their first big test of the year. While the Seawolves return the bulk of their starting lineup and the majority of their offensive firepower (read: Ohlmiller, Murphy, Yevoli & Van Dyke) from 2015, the Gators rebuilt in the offseason – but into a much stronger team, in my opinion. Their speed, ability to execute and athleticism set them apart against the Orange. Can it do the same against Stony Brook? Congratulations to our Ladies for a tough road win at a ranked team. 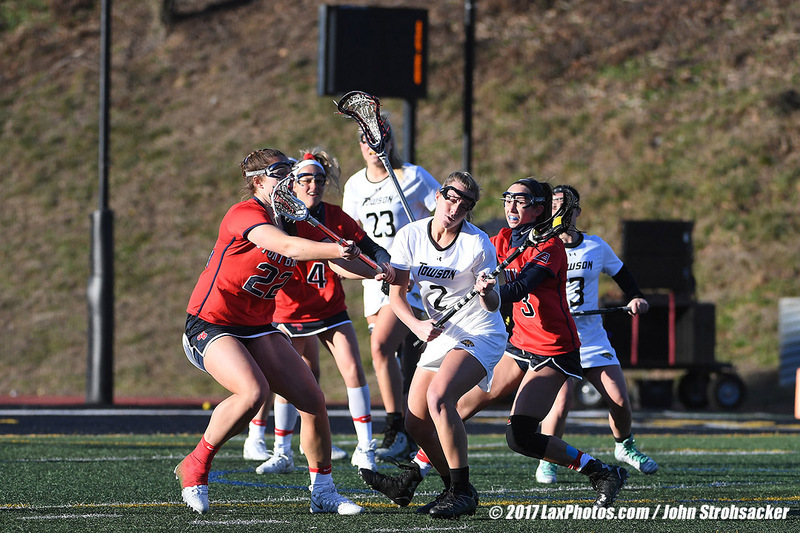 The Stony Brook defense forced Towson to turn the ball over as the possession clock expired, which ultimately led to the Seawolves' game-winning goal with four seconds remaining on the game clock. But for the first time in recent years, in which rules changes like self-starts and three seconds as a major foul have benefitted offenses, Duke coach Kerstin Kimel and Stony Brook coach Joe Spallina say the defense finally has an advantage. Coaches downplayed the clock's effect during fall ball. Yet both Duke and Stony Brook opened the season with wins featuring game-changing plays resulting directly from it.